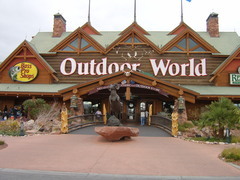 My husband was thrilled when, during a recent visit to Las Vegas, he discovered a Bass Pro Shop attached to the Silverton Casino Hotel. At that point there was no choice, we had to spend time there. The Silverton Casino Hotel is housed in a ski lodge-themed venue. 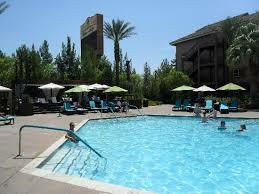 This modern casino resort is 8 minutes’ drive from Mandalay Bay on the south end of the Strip. A taxi fare to the strip will cost about $20-25.00, so if you plan to spend a lot of time around the strip, travel costs could be significant unless you use the free shuttle bus, but that only runs to the shops at Caesar’s Palace every 3-4 hours. Coach seats are limited to 12 people. The hotel also provides a shuttle bus to the airport, again there are only 12 seats available. The Silverton Casino Hotel in Las Vegas, Nevada, USA combines the comfort of an upscale lodge with casino gaming excitement. It is a full-service casino and hotel located off the Strip. It features an array of restaurants, including a steak house, a Mexican restaurant and a rather eclectic buffet. 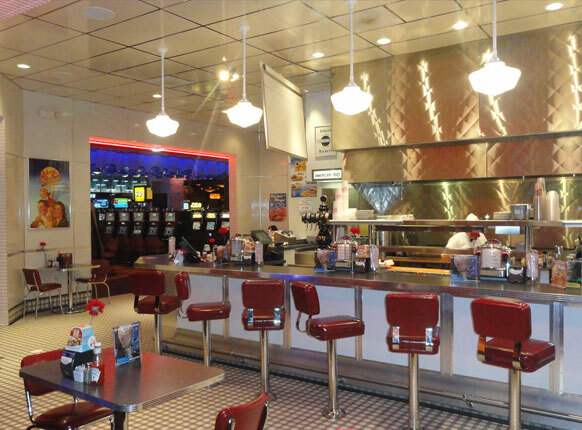 We particularly enjoyed the burgers at Johnny Rockets. It is a 1950s themed burger joint. Admittedly it is part of a chain, but the food was competitively priced and very tasty. It even catered for me as a vegetarian. It amused us to experience the individual juke boxes and stylised furniture. Live entertainment does play at the Silverton. However, while we were there no big name acts, or shows we particularly wanted to see were showing. There is a seasonal outdoor pool, but it seemed quite small for th size of the venue. Still, we were enchanted by the 117,000 gallon aquarium. It is not surprising that this earned the Silverton the distinction of “Best Free Attraction” in Las Vegas. We also found all the staff at the Silverton Casino Hotel to be helpful and polite. 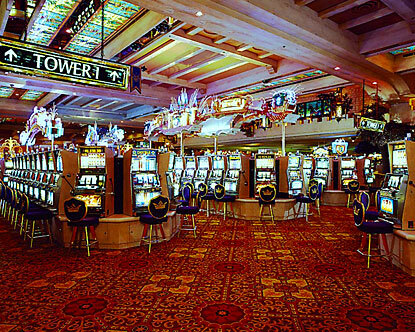 Silverton Casino Hotel also pride itself on having the highest payout casinos in Las Vegas. It also boasts gaming spread across a vibrant casino floor spanning 90,000 square feet where guests can play over 1,750 modern slot and video poker machines and 29 table games including craps, roulette, and blackjack. Guests will also find a sports book courtesy of Cantor Gaming and have access to a High Limit Salon. The Bass Pro Shop flagship store was the big draw for my husband. He spent hours examining the deals, offers, equipment and clothes for sale in the Bass Pro Shop. Sometimes I went around the store with him, because there was lots of interest to me too. However, sometimes I spent time enjoying other attractions around the resort, but I always knew where to find him! 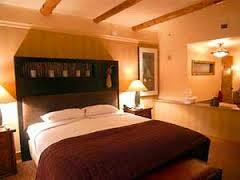 Many of the guestrooms at the Silverton Casino Hotel have been remodelled. They are very comfortable and nicely decorated. The rooms feature pillow-top mattresses, in-room Internet and flat-screen TVs. In addition suites have living rooms and Jacuzzis. The resort fee includes the in-room internet, gym access and an airport shuttle. Free WiFi is available in the coffee shop. While the Silverton Casino Hotel has many interesting features, we found it to be a long way from the Strip and we prefer t be based nearer the centre of things in Las Vegas.